I have set the width of the widget to 290px. If in case your sidebar is small or big, you may then have to adjust the two width values in brown highlight color. The first will set the width of the entire container and the second value will set the width of the subscription input box. 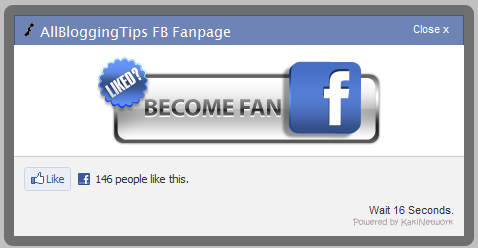 You are most welcomed to share this widget with your readers. You will have to give credits to AllBloggingTips blog by attaching a link back to this post. You may also give credits to the author for the wordpress version of this sharing plugin. Thanks for recommendation, I have switched to that plugin on my WordPress site and its look awesome. 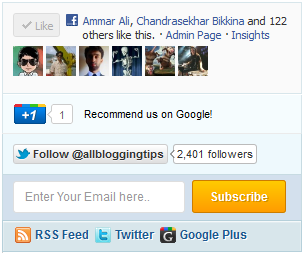 bro i want to add this widget to my blog..but can not adjust the width as width of my side bar is less! So plz say me where to edit so that i can set it properly! This is really cool stuff. I’m going to use this widget. Thanks for sharing this Ali. error is coming in that particular widget space.